My Yorkshire Post Pub of the Week, March 17th is Pave in Hull. There can’t be too many pubs that can claim to have changed the drinking habits of an entire city, but it’s something Pave, on Hull’s Princes Ave, can legitimately boast – not that they ever would. Before Pave came along, in the mid 90’s, Hull’s drinkers either frequented their own locals or the chain boozers to be found on the long-established city centre drinking circuit. Bored with these options, a small but determined consortium of would-be bar owners clubbed together and opened Pave. It was the first establishment in the city that remotely resembled a cool London bar and its laidback atmosphere, solid drink offering and inventive menu proved an almost immediate hit with Hull’s sophistication-starved refreshment seekers. Within a few years Hull’s city centre became a relative night-time ghost town, with all of the traffic having relocated to Avenues area of the city as bar after bar sprang up, all copying the Pave formula. Today Pave is still the most respected and adventurous watering hole in Hull. They have regular comedy, music, theatre and even dance nights and there can be few better places in the city to spend a Sunday afternoon than at one of their weekly jazz sessions. Food and drink options are exemplary. Local cask ales sit next to the pick of continental beers and the menu features British and European classics made from seasonal ingredients. Pave wears it’s ‘Hull-ness’ proudly; the walls are decorated with paintings and photographs by local artists and illustrate local themes. A section of the bar is, very generously, dedicated to leaflets for local events – creating a sense of community is apparently more important than worrying about promoting the competition. Most importantly, Pave maintains a cosy, friendly, informal atmosphere. 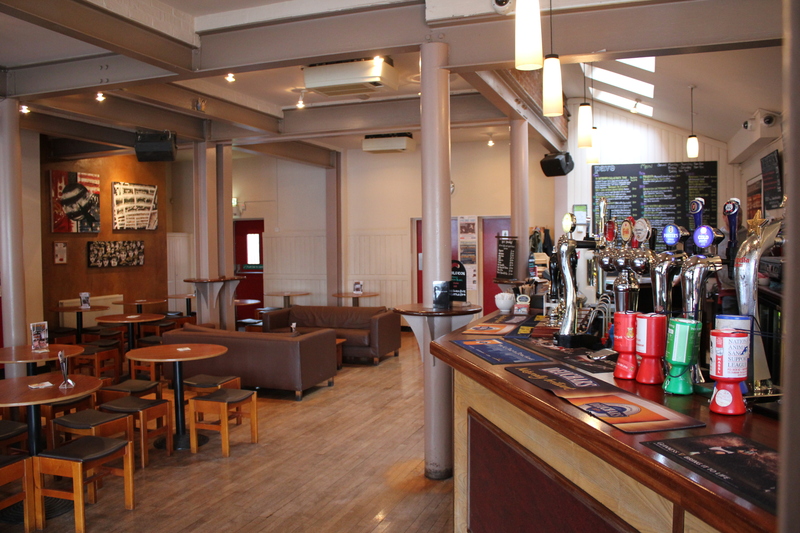 It’s an equally great place to meet friends or to go for a quiet pint with a book. Most of the staff have been in place for many years and even if you visit only infrequently you are treated to the same welcome as the regulars. Sitting next to the big front windows, overlooking the traffic on Princes Ave you realise that not only did Pave change the way the people of Hull drink but that the change was very much for the better.